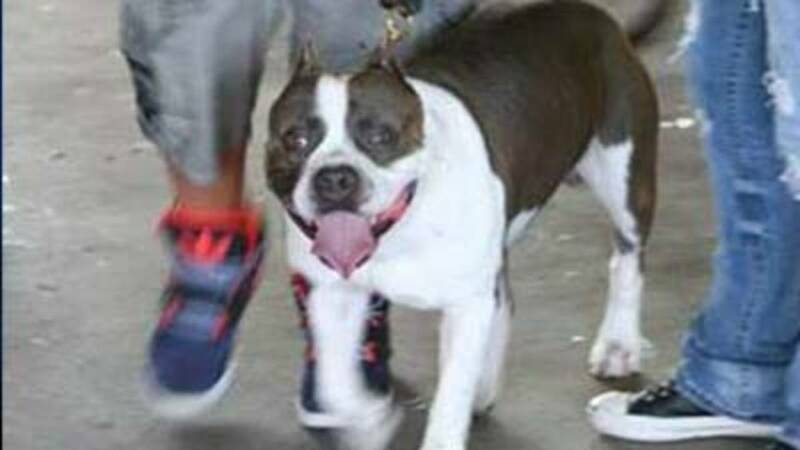 MIAMI - A Miami resident and his wife filed suit on Tuesday against Miami-Dade County, alleging the County has unlawfully ordered removal of his pit bull from the County. Lucky is a pit bull and he is Felix Conde's service dog. Since 1989, Miami has enforced an ordinance which prohibits ownership of pit bull dogs within the jurisdiction. The ordinance makes no exception for dogs which are genuine service animals under the Americans with Disabilities Act. "Earlier this year, Miami-Dade ordered Mr. Conde to remove Lucky from the jurisdiction, which he did, and subsequently assessed more than $10,000 in penalties against Mr. Conde," read a release sent by his lawyers Wednesday afternoon. "Mr. Conde and his wife have file the lawsuit in federal court in Miami, asking for a declaration that the Miami-Dade County ordinance violates federal law, namely the Americans with Disabilities Act, and that the County has violated the plaintiffs' civil rights by removing Lucky from them and assessing penalties." "Today, history has been made," Dahlia Canes from Miami Coalition Against Breed Specific Legislation told Local10.com. "For 25 years, Miami Dade County has had the most inhumane and absurd ordinance in place. Miami is the nation's stronghold for Breed Specific Legislation and it is here that it will be defeated, God willing. This one is for the DOGS!" "There is simply no way a breed-specific ownership ban can survive under federal law, so as to be enforced against a disabled person and their service dog," said the Plaintiffs' attorney, Andy Dogali of Tampa. "Other courts have reached the same conclusion. But during the prior proceedings the County just refused to listen."